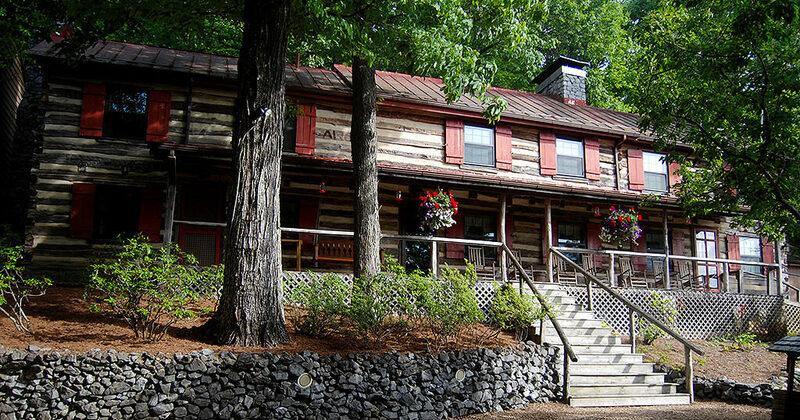 Listed by Washingtonian Magazine as one of the Mid-Atlantic’s Top Ten Mountain Lodges, Sugar Tree Inn is for sale. 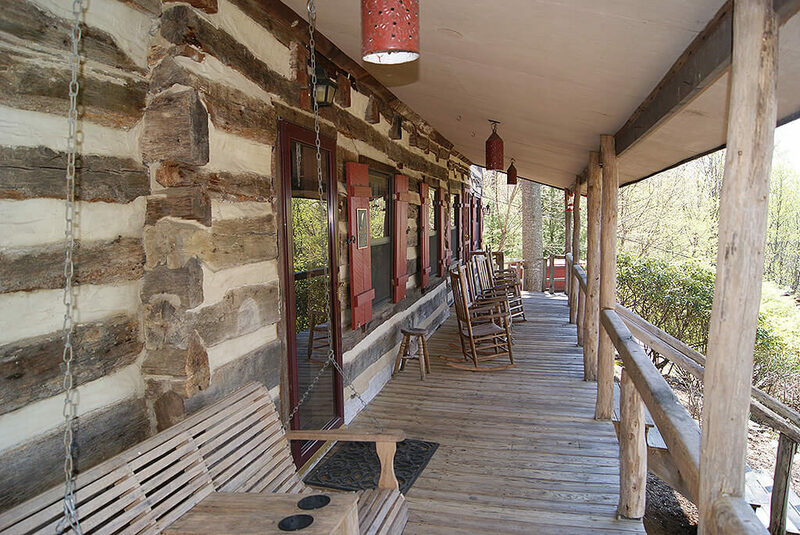 There are five guest buildings and a separate innkeeper’s home with 3 bedrooms and 3 bathrooms. The Inn is ideally suited as a romantic getaway for outdoor enthusiasts or as a private retreat for small meetings. The Main Lodge, with its massive stone fireplace, was built with 200 year-old logs and timbers and has 3 guest rooms with private baths (one has a whirlpool tub) and wood–burning fireplaces. Also, there is the great room, tavern, indoor and outdoor dining area and a full commercial kitchen and commercial laundry. 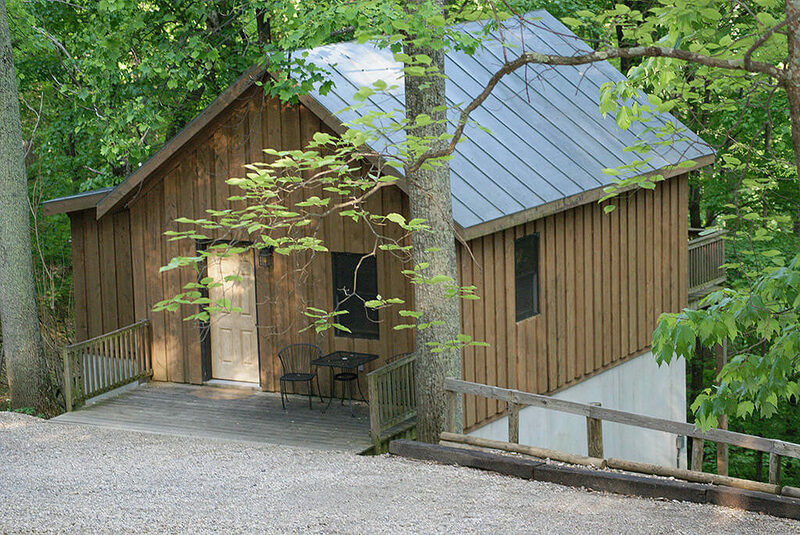 St. Mary’s Cabin has a private deck with a wonderful view of the Shenandoah Valley. It is a timber framed, log structure with a large sitting area, bedroom and expansive bathroom with a double whirlpool tub and a separate double shower. 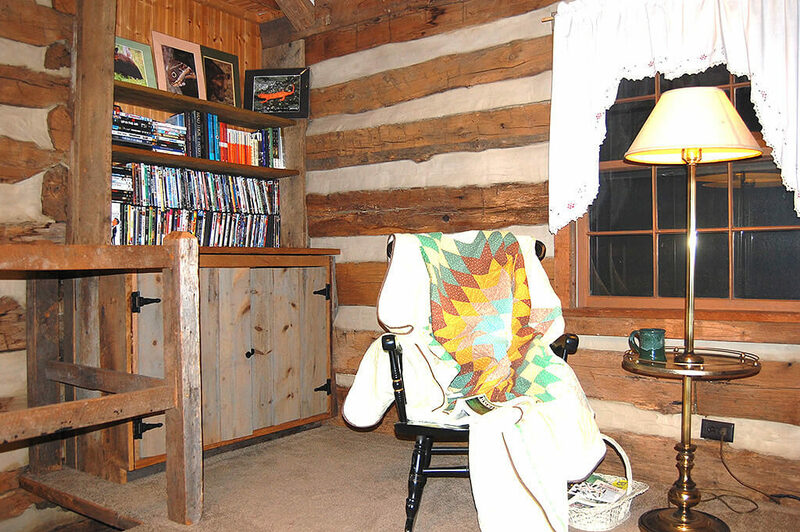 The Log House has four Queen bedrooms, all with private baths, wood burning stone fireplaces and decks. The Grey House has four units: two Queen guest rooms and two large Suites with whirlpool tubs. All have stone, wood-burning fireplaces and private baths. The Creek House is a two bedroom family unit that can easily sleep six. It has a private bath, a living area, a wood-burning stove, a fully equipped kitchen and a deck overlooking the creek. 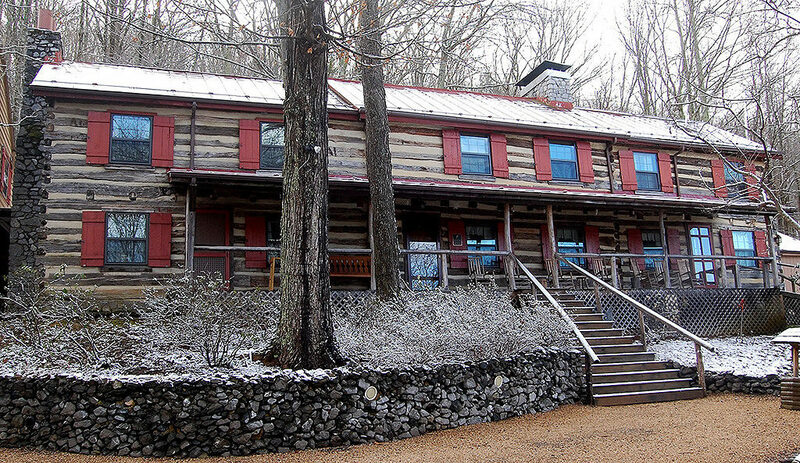 At an elevation of 2800 feet, Sugar Tree Inn is within the George Washington National Forest and is less than a mile from the famed Blue Ridge Parkway at MP27. 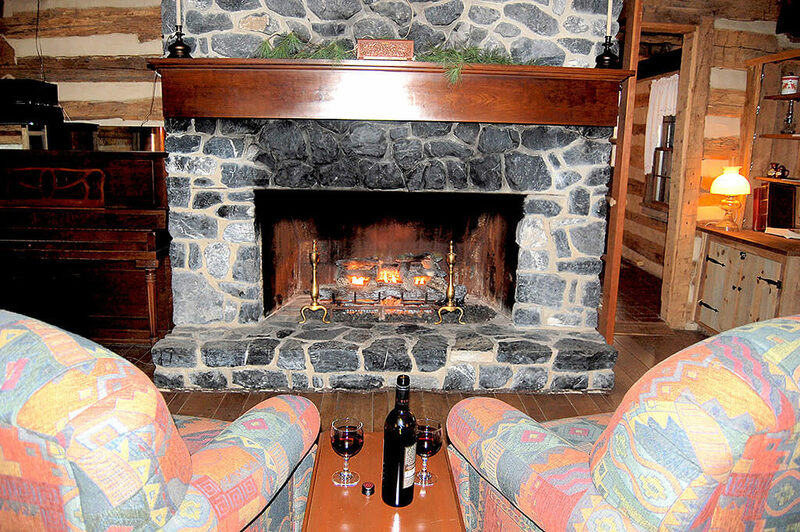 The Inn has all the ambiance of a rustic lodge that blends beautifully with its natural surroundings. Add to this, the crisp morning air, the whisper of wind in the trees, the scent of a wood-burning fireplace and you have Sugar Tree Inn! Although totally secluded, the Inn is only six miles from Exit 205 of Interstates 64 and 81 in the Shenandoah Valley of Virginia. There are five colleges and universities located within a 45-minute drive – James Madison University, Mary Baldwin College, Washington & Lee University, Virginia Military Institute, and Southern Virginia University. 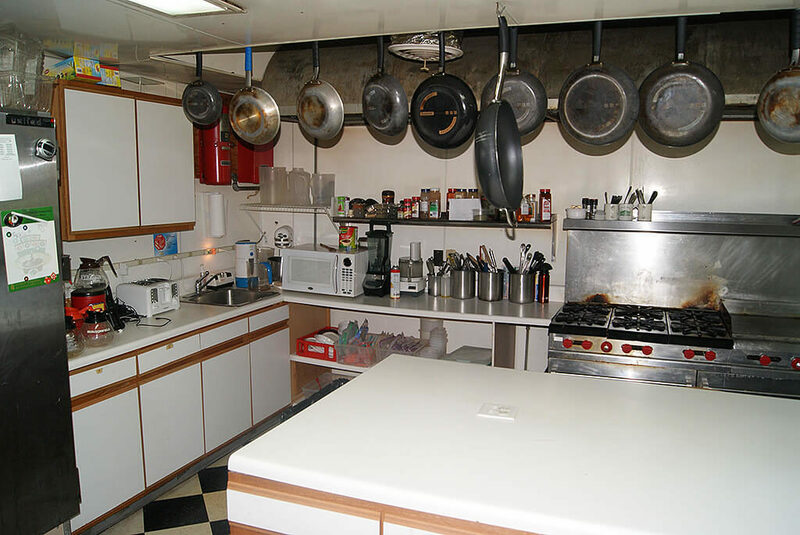 There are numerous sites of interest that are only minutes away. These include the Natural Bridge State Park, the Safari Park, Natural Bridge Zoo, Halcyon Days Cider, Great Valley Vineyards, Rockbridge Vineyard, the Virginia Horse Center, American Shakespeare Center & Blackfriers Theater, the Frontier Culture Museum, Woodrow Wilson Birthplace & Library, and many, many, more! At Sugar Tree Inn there are 28, mostly wooded, acres with hiking trails over half of the property. Birds and other wildlife abound and the flora and fauna are sights to behold. The view of the Shenandoah Valley below is wonderful. The approach to Sugar Tree Inn from VA Route 56 is nothing short of spectacular, as you wind down a steep, narrow road and cross a small bridge with a cascading waterfall on your left! As you continue up the drive to the Inn, the spectacular view of the Valley opens up before you!